The Authority of Director of Secondary & Higher Education Published Govt School admission Circular and Application form Fill Up Details. 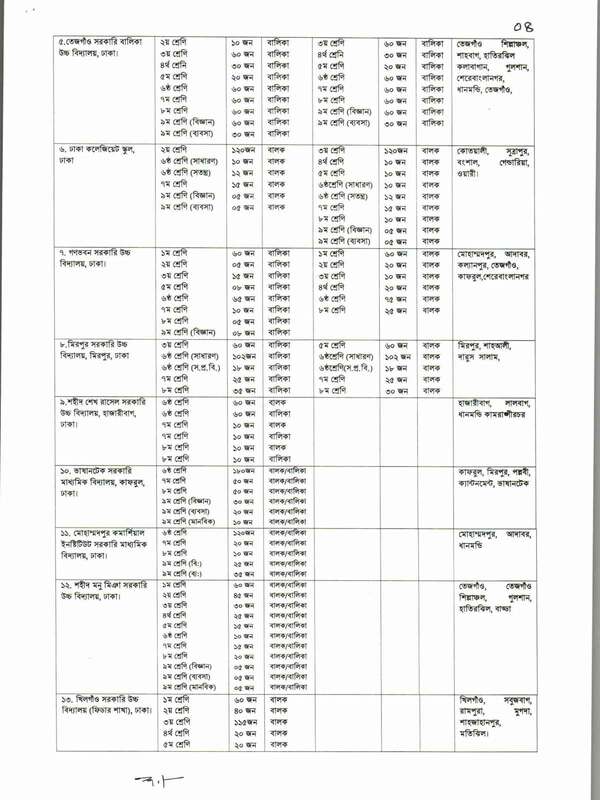 Govt School Class 1, 2, 3, 4, 5, 7, 8 and 9 Admission test circular 209. Govt School Admission Result Will Found Here at The End of Application Deadline. 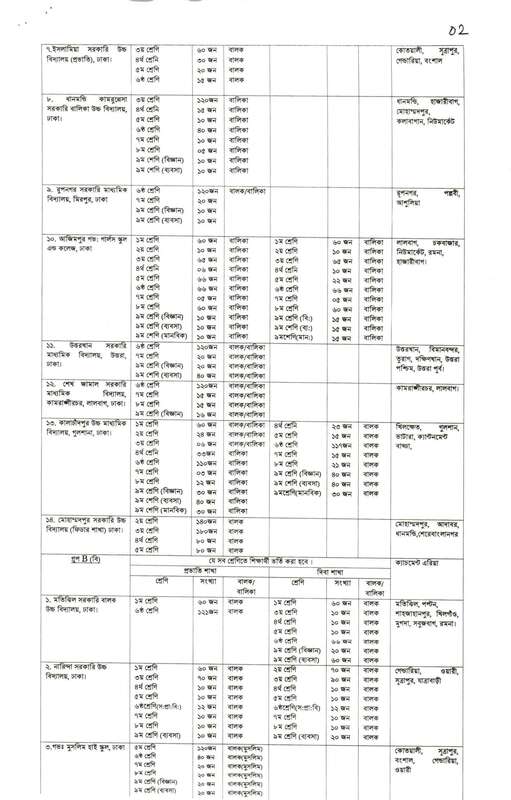 Govt School Admission Result For Class 1 Lottery Draw Will Publish 20th December 2018. and School Admission Result 2019 For Class 2-8 Will Publish 24th December 2018. Govt School Class one Admission Result Will be Publish by Lottery Draw System. There Are No Admission Test Will Held For Class one Admission. So, Visit Here For Collect Your Govt School Admission Class One Lottery Result. However, We Will Discuss About Govt School Admission Class One Lottery Result Later. 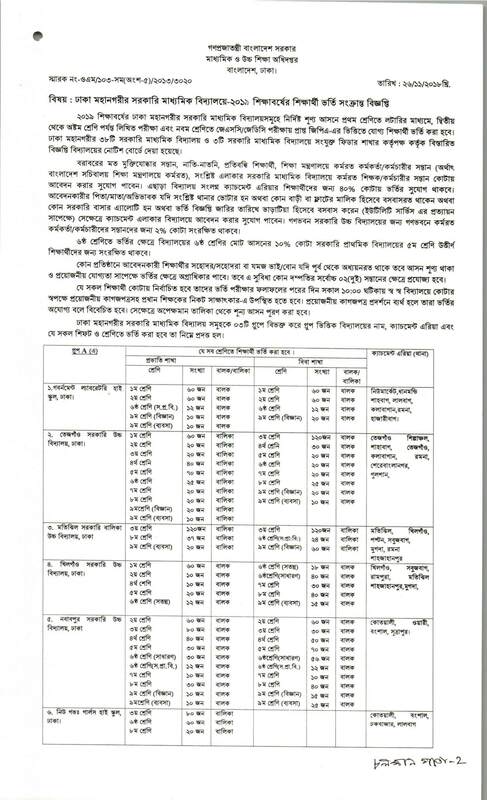 Government School Admission Circular 2019 Will Publish Last of The Month November 2018. However, Get the Basic Idea About Govt School Admission Rule and Others. 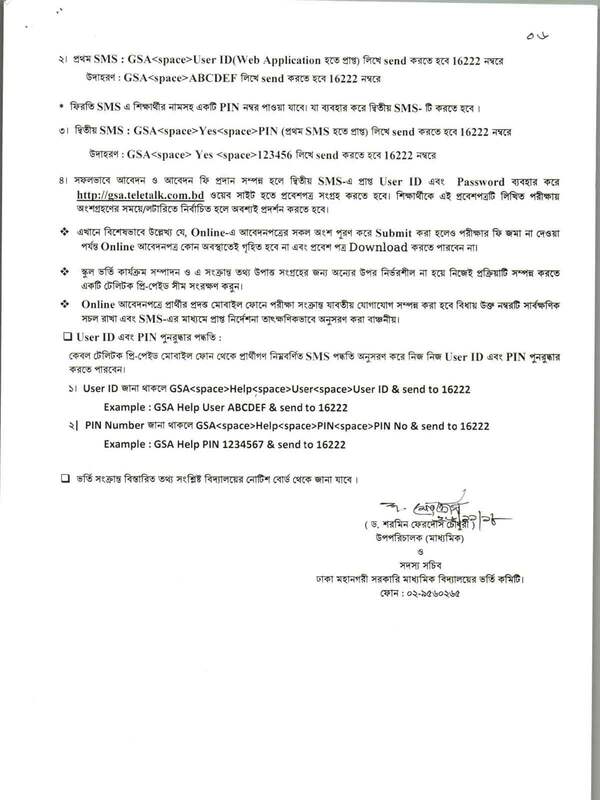 Govt School Admission Online Application 2019 – gsa.teletalk.com.bd & dshe.gov.edu.bd. The Education Board Authority Take Decision to Admission Primary Level Based on Online. 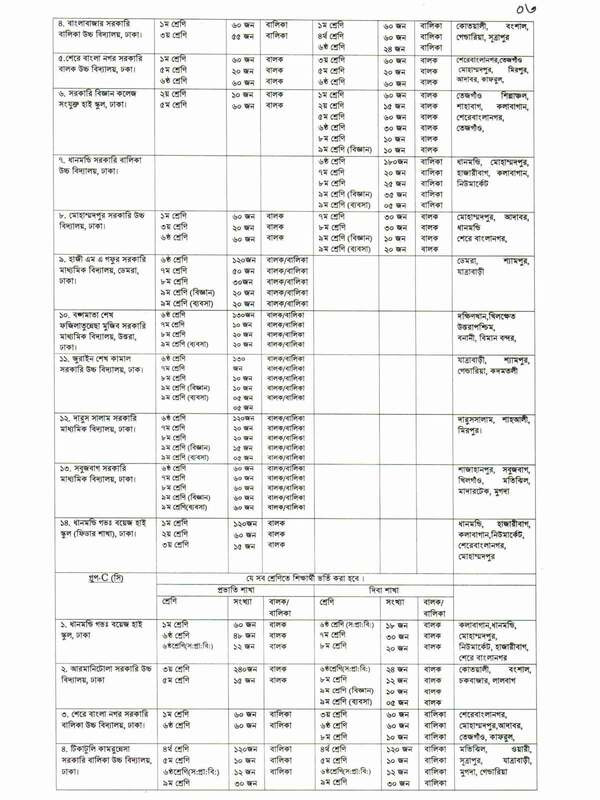 Govt School Admission Circular & Online Application Form Fill up Process time was start from 1st December 2018 (Tuesday) at 12:01 pm. Applicant has to Apply Online Through gsa.teletalk.com.bd Site. At First, Candidates have to Fill Up Application Form and Then have to Pay Application Form. Application Will be Start From 1st December 2018 and Last Date of application 13th December 2018.